The white version of the hot Samsung smartphone spotted making the rounds online. Samsung’s newest device, the Galaxy S II, is expected to hit the U.S. shores any week now. Last Thursday, the white version of the handset is spotted online. Initially, Samsung introduced the black-colored Galaxy S II handset in Europe but mobile phone retailers seem to stocking up on the white model as well. 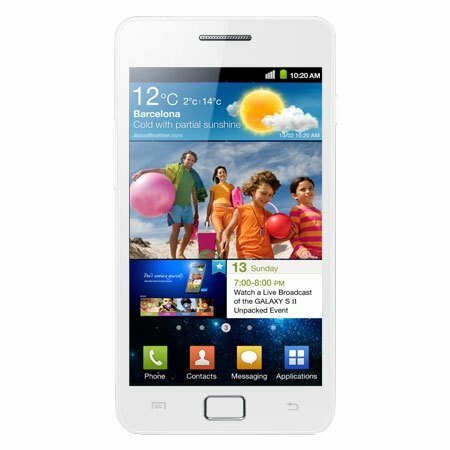 Samsung Galaxy S II has a dual-core processor, Super AMOLED Plus screen, TouchWiz user interface and runs Android 2.3 Gingerbread. Reports said that 5 million units of Galaxy S II have already been shipped and consumers are hoping that one of the U.S. carriers have the white version launched soon.